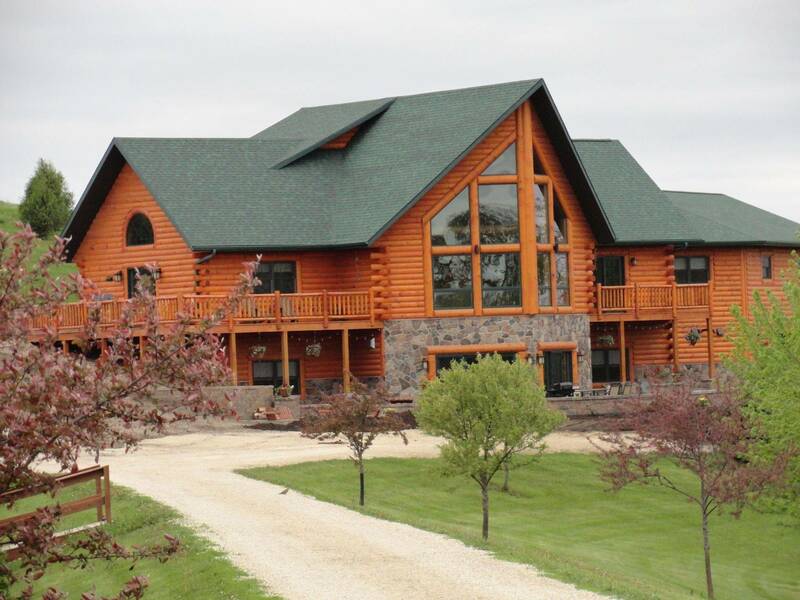 Serenity Valley Bed & Breakfast is lodging in a cozy, log cabin near Decorah, Iowa, which offers numerous opportunities for biking, hiking, tubing, canoeing and excellent trout fishing. Decorah is also home to Luther College, Vesterheim Museum, and the annual Nordic Fest celebration! Decorah is a 20 minute drive away, with little traffic. A short 15 minute drive to the West of Serenity Valley will take you to Spillville, Iowa and the Bily Clocks. 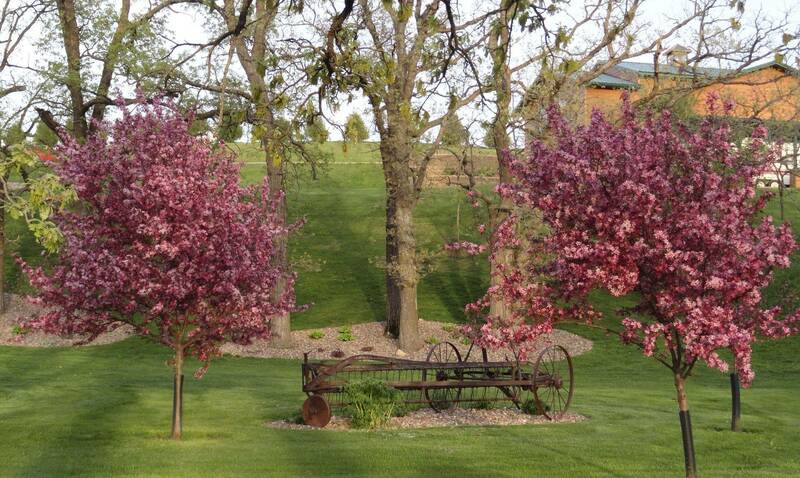 Stay at Serenity Valley and check out all the fun Northeast Iowa has to offer! Serenity Valley is located a mile south and east of Ossian, Iowa and has three themed rooms as well as a common area with a kitchenette and living room for guests to gather. All three rooms have their own TV, bathroom and access to the common area. The Farmstead and Honeymooner have queen beds. The Outdoorsman has a king bed and a nook area with bunked full and twin beds. There are beds for 9 guests. Our maximum capacity is 12. The cabin is surrounded by old oaks, maple trees and flower gardens. A small creek and two ponds are also within close view of all the rooms. We serve a full, hearty breakfast which includes a hot egg entrée, bacon or sausage, homemade breads and rolls, fresh fruit, and juice served at the log table in the common area. Discounts are offered for those who reserve all three rooms, one room for three or more nights, or who do not wish to have breakfast. 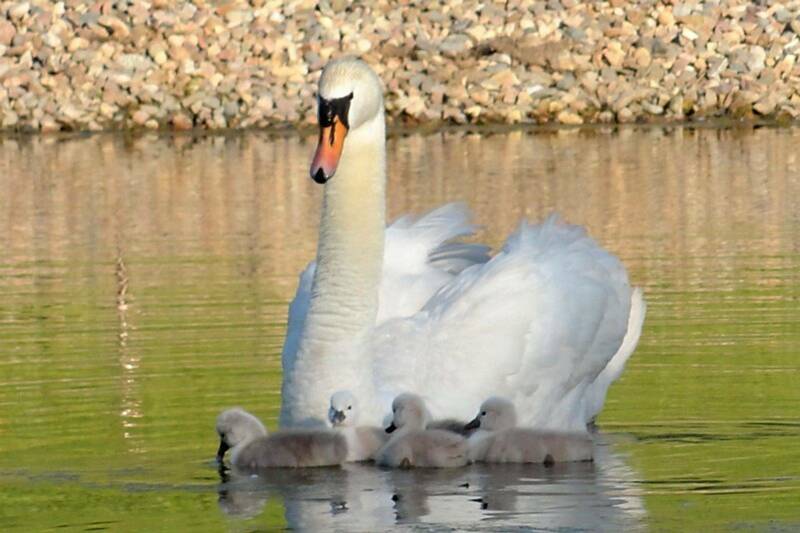 Due to high demand during the summer months, all three rooms must be booked on Weekends from May - October. Leave your troubles behind and enjoy a little "Peace of Paradise" at Serenity Valley!